Paul L. Foster is the Chief Executive Officer of Franklin Mountain Management, LLC. He is the founder and former Executive Chairman of Western Refining, Inc., and currently serves on the Board of Directors for Andeavor, a premier U.S. refining, marketing, and logistics company. Mr. Foster served for a number of years on the Texas Business Leadership Council and served on the Texas Higher Education Coordinating Board from 2004 to 2007. Since November of 2007 Mr. Foster has served on The University of Texas System Board of Regents, and in August of 2013 was named Chairman. Previously, he served as the Chairman of the University of Texas Investment Management Company (UTIMCO). An avid supporter of the El Paso/Juarez region, Mr. Foster is involved in numerous local and regional business, civic, and charitable organizations. 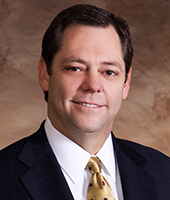 In 2013, he was appointed to the El Paso branch board of the Dallas Federal Reserve Bank. He is a member of the World Presidents’ Organization and serves on the Steering Committee of the Borderplex Regional Economic Alliance. He was the founding Chairman of El Paso Regional Economic Development Corporation (REDCo). Mr. Foster is passionate about the city he calls home and is a catalyst in El Paso’s downtown redevelopment and revitalization efforts. He has purchased a number of historic El Paso buildings in the downtown area, and is establishing the Mills Plaza District through meticulous renovation and restoration of those buildings. In addition, Mr. Foster developed and built a 600,000 sq. ft. retail shopping and lifestyle complex on Interstate 10 in El Paso called The Fountains at Farah. In 2012, Mr. Foster and his wife, Alejandra de la Vega Foster, joined with the Hunt family in El Paso to form MountainStar Sports Group, a partnership focused on improving the quality of life in the region and spurring economic development through sports and entertainment. The group purchased the San Diego Padres’ Triple-A baseball team and relocated them to El Paso from Tucson, Arizona. In 2014 the El Paso Chihuahuas began play in a brand-new, downtown ballpark, a public/private venture of the City of El Paso and MountainStar Sports Group. In addition, MountainStar Sports and a group of investors purchased an Ascenso MX (Mexico's second division) soccer franchise for Ciudad Juarez, Mexico. FC Juarez opened play in July, 2015 in the Benito Juarez Olympic Stadium in Juarez. Mr. Foster has given generously to initiatives in Texas and El Paso, including significant civic and charitable donations. His gifts include a $50 million donation to create the Paul L. Foster School of Medicine at the Texas Tech University Health Sciences Center in El Paso, and a $3 million donation to establish the Paul L. Foster Success Center at Baylor University. Mr. Foster also gave $35 million to Baylor to support the construction of Baylor Stadium, and to build the Paul L. Foster Campus for Business and Innovation, which houses the Hankamer School of Business at Baylor University. Mr. Foster’s donation represents the largest gift from a living alumnus in Baylor's history. He and his long-time friend and business associate, Jeff Stevens, donated $6 million to fund the Foster-Stevens Basketball Complex on the campus of the University of Texas at El Paso. In addition, Paul and Alejandra Foster recently donated $500,000 to help fund La Mano Amiga, an operations facility for El Pasoans Fighting Hunger. Mr. and Mrs. Foster also gave $2,000,000 to the El Paso Zoo, to provide ongoing, year-long memberships for military families, as well as to fund the Foster Tree House Playground and support other Zoo projects. Mr. Foster has contributed significantly to address many areas of need within the state, the El Paso/Juarez Borderplex, and in his City of El Paso. Numerous honors given to Mr. Foster include the Distinguished Alumni Award presented by the Baylor Alumni Association. He was inducted into the 2013 Class of the Texas Business Hall of Fame, and in 2007 and 2013, he was presented the highest award given by the City of El Paso, the Conquistador Award. He was named El Pasoan of the Year twice by El Paso Inc. and inducted into the Business Hall of Fame by Junior Achievement of the Desert Southwest. Mr. Foster was also named Entrepreneur of the Year by the Greater El Paso Chamber of Commerce.